Beneath the Helmet explores the story of Five Israeli high school graduates drafted into the military. Eden Adler (First Lieutenant), Oren Giladi (Private), Mekonan Abebe (Private), Eilon Cohen (Private), Coral Amarani (Sergeant). The teens enter into training for eight months, discovering their core values, unearthing emotions from the past and learning that their lives are now changed forever. The documentary highlights a few different positions the teens hold, ranging from First Lieutenant to Private, Sergeant and Commander. Mekonan and Oren are both Privates, who emigrated to Israel from Ethiopia and Switzerland. After joining the army, the two became the best of friends — despite their different upbringing. The other three teens featured are Coral, Eden, and Eilon — all of whom hail from Israel. As a First Lieutenant, Eden is directly responsible for the lives, safety and operational effectiveness of 42 recruits and three sergeants. Eilon is the first of his siblings to be enlisted into the army, as a Private. Coral is from the affluent neighborhood of Herzliya Pituach and is a Sergeant at a pre-basic training program, working to get 12 soldiers integrated into the IDF (Israel Defense Forces). 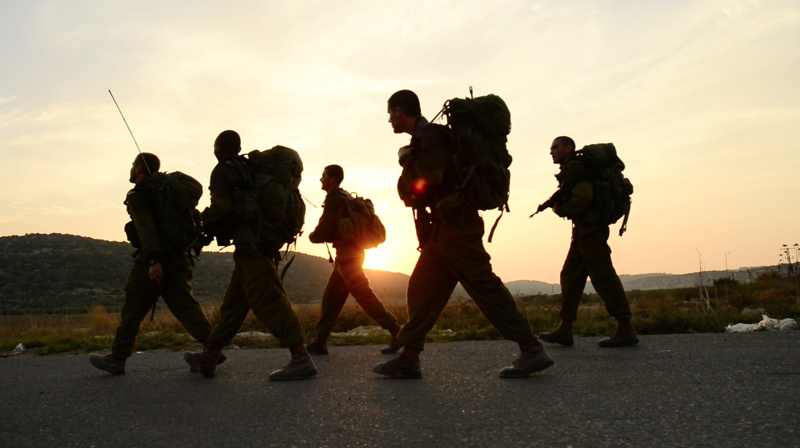 In this honest portrayal of the IDF and basic training programs, we see the reality of the transitioning from young adolescent years to becoming an adult in the armed forces. The teens form a strong bond and brotherhood, having found a sense of community within the armed forces. Beneath the Helmet will be available on Disk on Demand, Google Play, Amazon, iTunes and more August 7th. Synopsis: This documentary tells a coming of age story that highlights five young Israeli high school graduates who are drafted into the army to defend their country. At the age of 18, these young individuals undergo a demanding journey, revealing the core of who they are and who they want to be. Beneath the Helmet illustrates how these young men and women are protecting not only their homes, but the shared values of peace, equality, opportunity, democracy, religious tolerance and women’s rights. The lessons that they learn along the way are paradigms that can be adapted, understood, and appreciated by everyone. To search more films from the Multicom collection & for updates on new releases, you can visit: http://multicom.tv/.